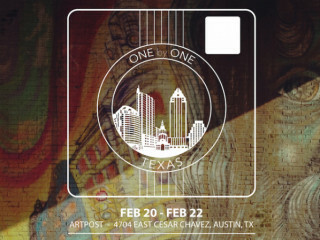 Presented Citygram Austin and InstaDFW, One by One TX is a statewide art show featuring mobile photography from local and international artists. Each photographer will have one image that best characterizes their artistic vision selected for display in the gallery space. In addition to the open gallery, there will also be special VIP preview party and "InstaMeat," a special barbecue-based meet up. Half of the proceeds from the art sales will be donated to Girlstart, a local nonprofit dedicated to empowering girls in science, technology, engineering and math through educational programs. $15-$70; Admissions is free to the gallery space on Saturday and Sunday.